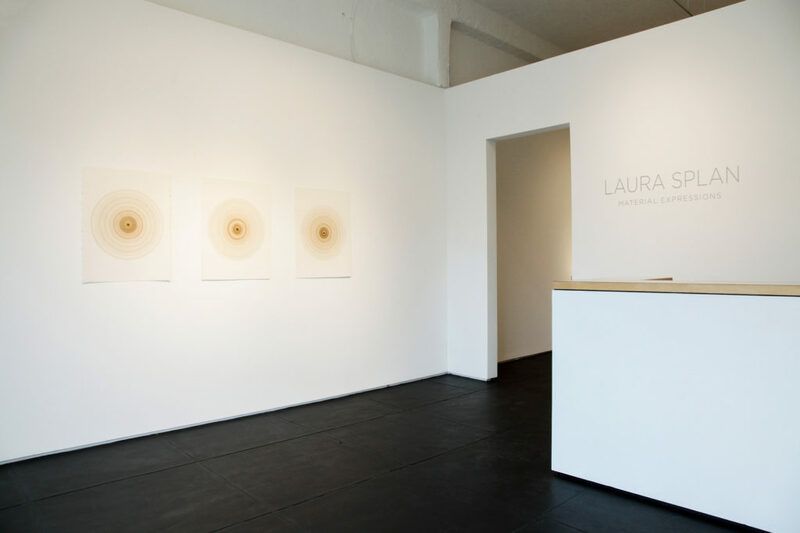 Laura Splan’s work explores intersections of art, science, technology and craft. 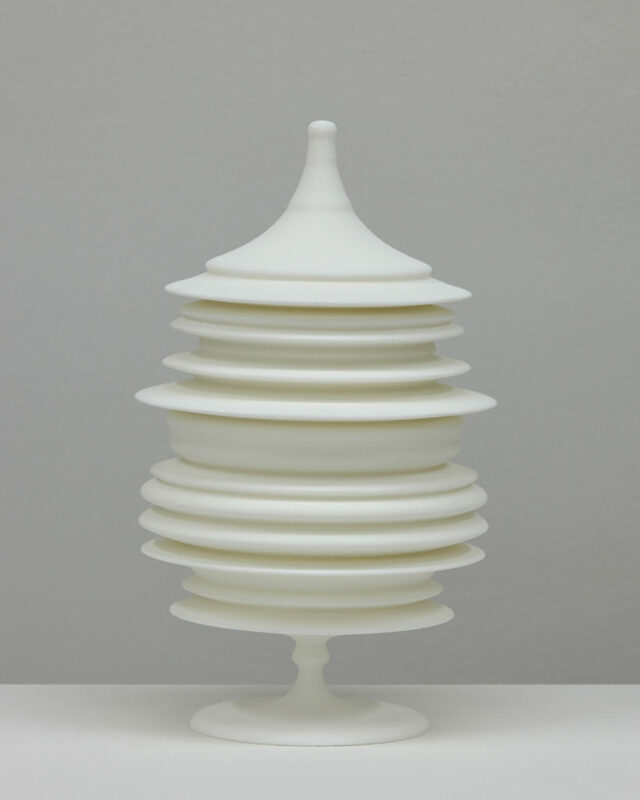 Her conceptually based projects examine the material manifestations of our mutable relationship with the human body. She examines perceptions and representations of the corporeal with a range of traditional and new media techniques. 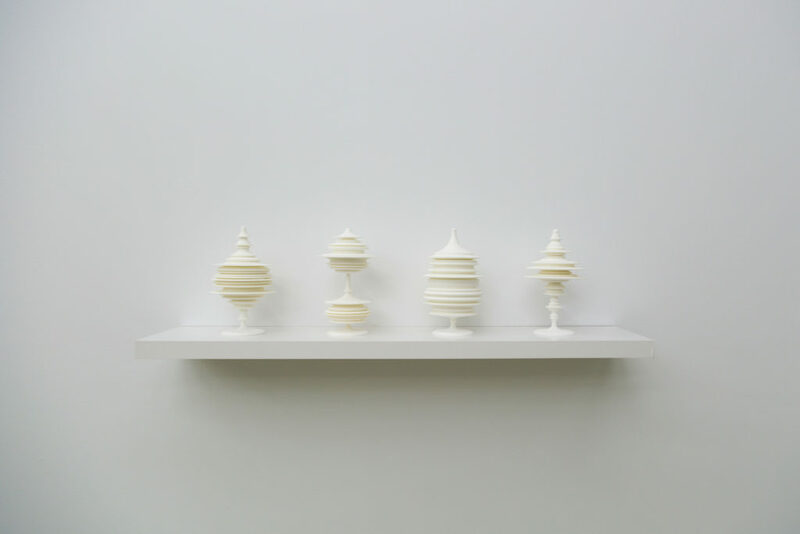 She often combines the quotidian with the unfamiliar to explore culturally constructed notions of order and disorder, function and dysfunction. 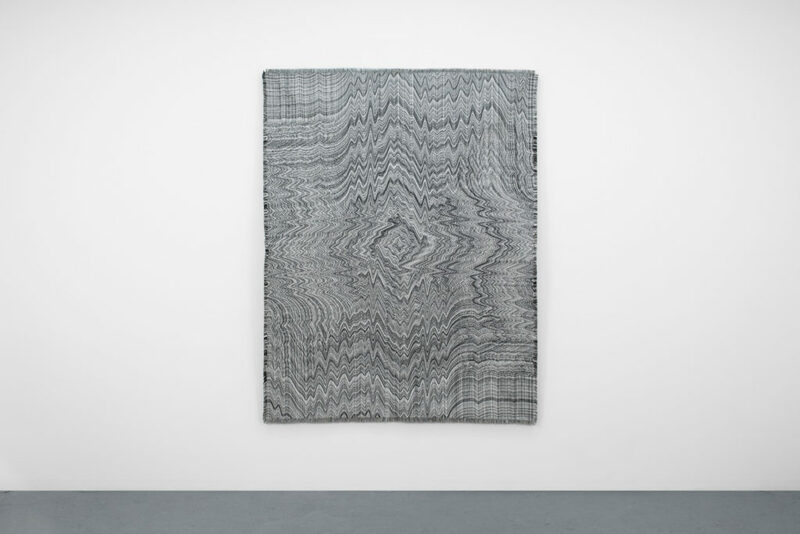 Her frequent combinations of textiles with technology challenge values of the “the hand” in creative production and question notions of agency and chance in aesthetics. 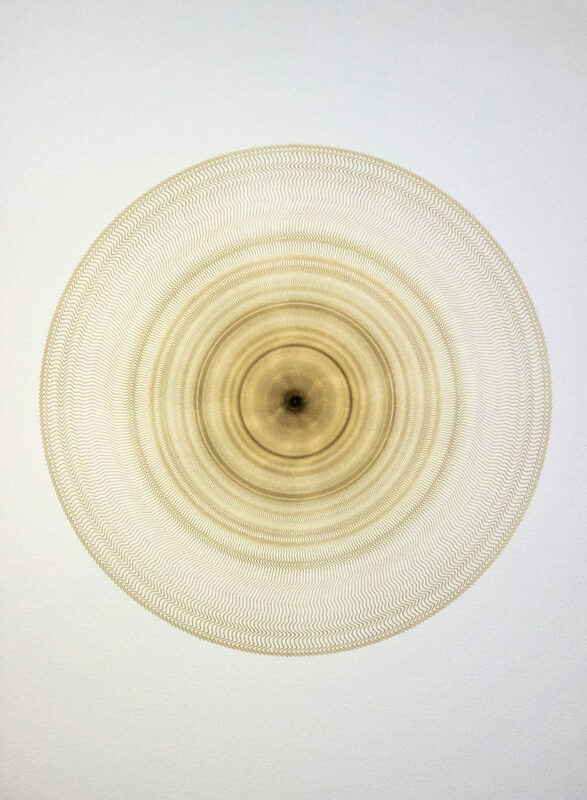 Much of her work is inspired by experimentation with materials and processes, which she mines for their narrative implications and untapped potentials. 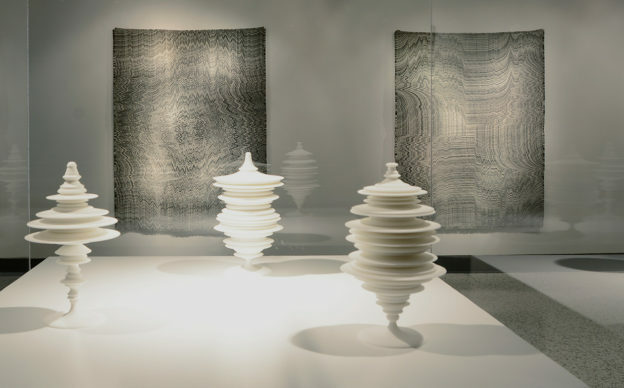 Her recent work currently on view at NYU Langone Medical Center Art Gallery (New York, NY) uses biosensors to create data-driven forms and patterns for digitally fabricated sculptures, tapestries and works on paper. She is currently developing a series of durational performances with biosensor actuated sculptures and sound. Manifest is a series of data-driven sculptures based on EMG (electromyogram) readings of fluctuating levels of electricity in muscles. Neuromuscular activities associated with experiences of wonder were performed as facial expressions and bodily movements (blinking twice in disbelief, furrowing a brow in confusion, smiling in delight). Each activity produced unique data captured by an Arduino EMG device that was translated into a curve using custom software. 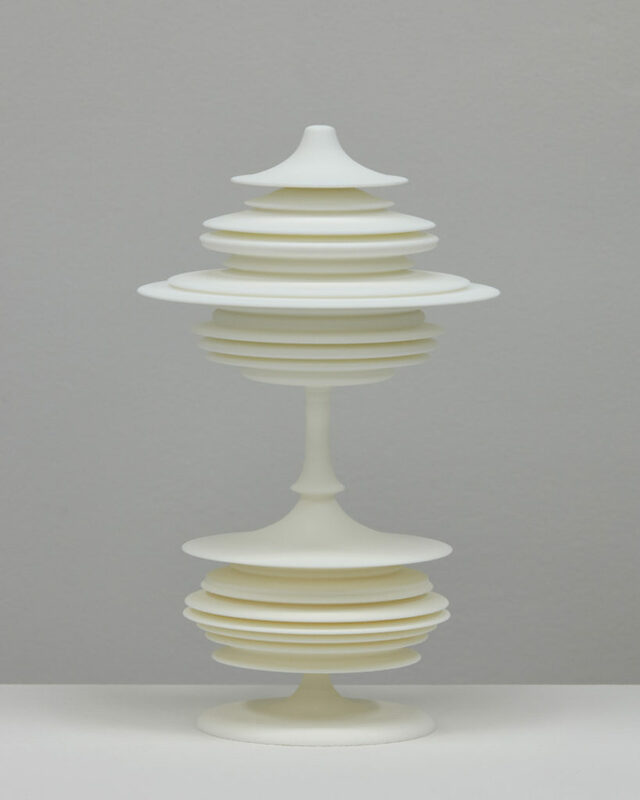 Each curve serves as a profile for a different 3D printed sculpture. 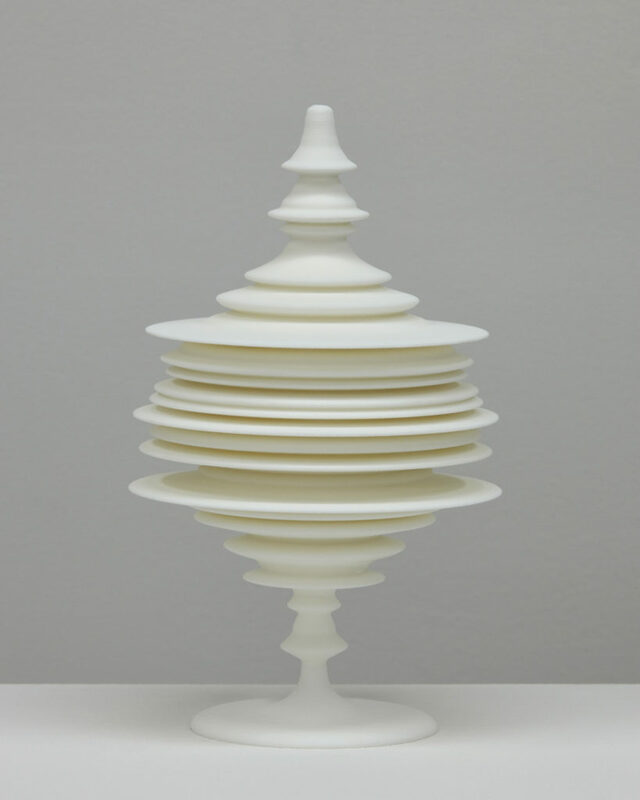 The project examines the potential for objects to embody human experience and to materialize the intangible. Recursive Expressions uses electromyography (EMG) data collected while squinting to generate form. The numerical EMG data was visualized in a custom software program that was written to repeat, rotate, and randomly colorize EMG waveforms. 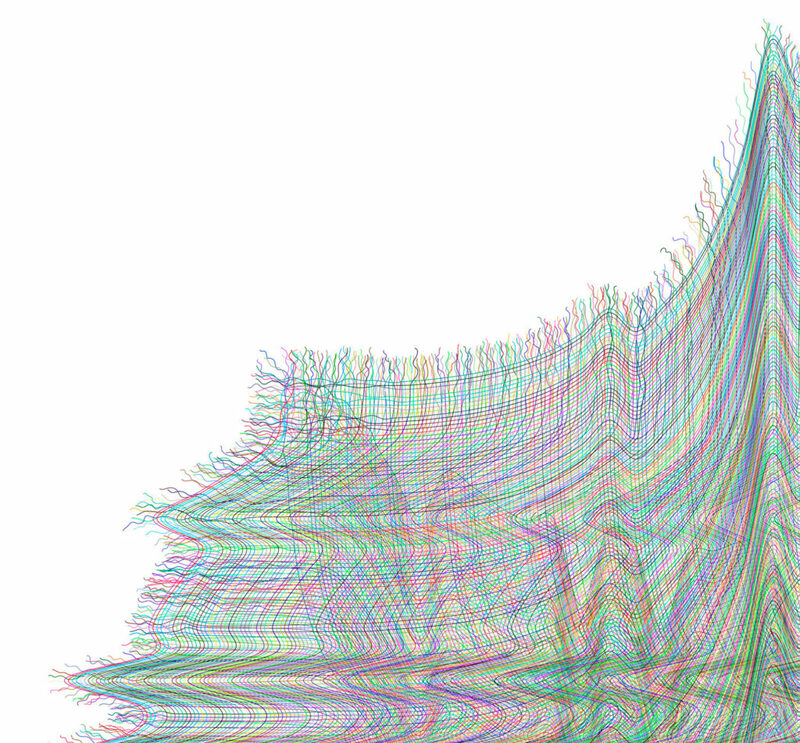 The computer-generated images “weave” the waveforms together in both directions—warp and weft. 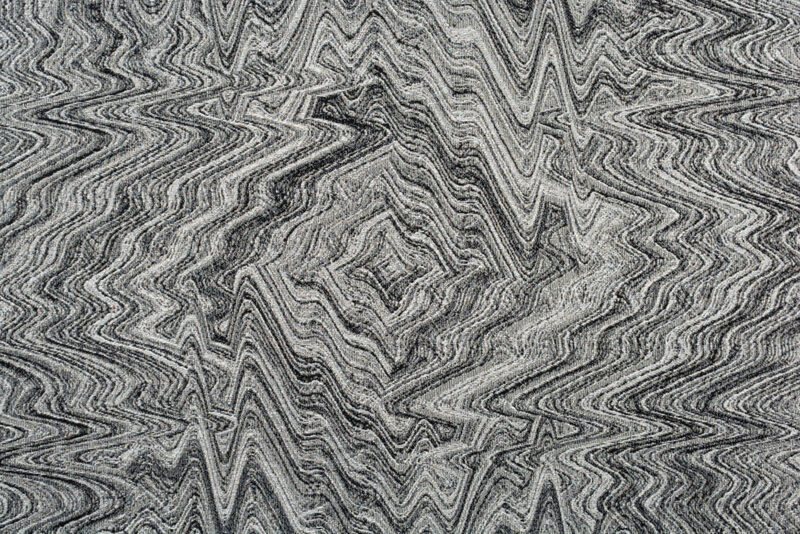 While the overall image has a geometric, unified, and even tidy form, upon close inspection one can see the chaotic structure of each end of each waveform that has been altered “by hand”. 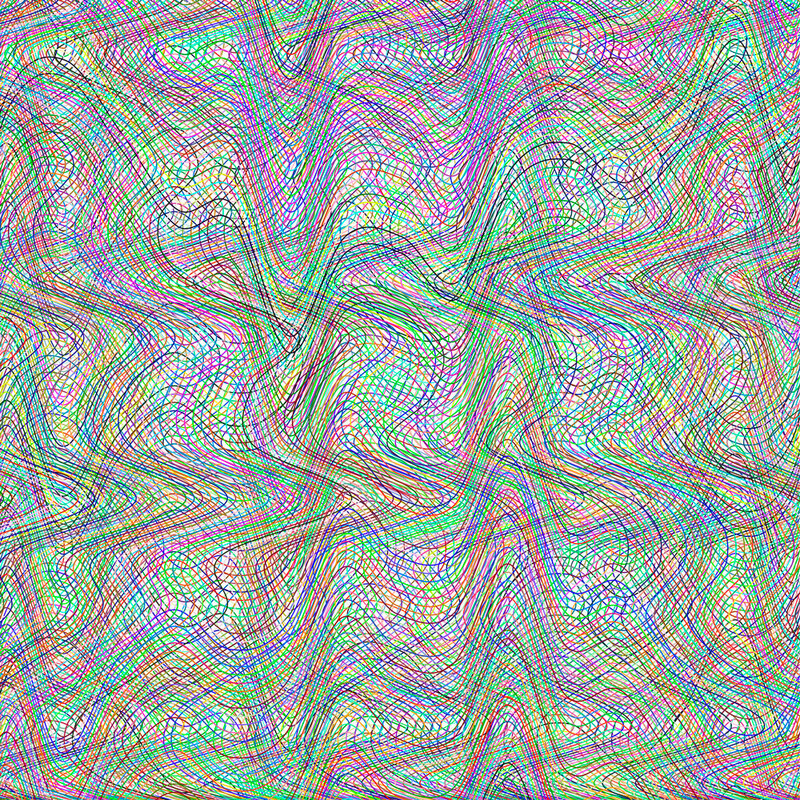 Using a vector imaging program, the flat zero value at the beginning and end of each waveform has been teased out and reshaped to create a woven fabric-like appearance to the overall image. The frenetic imagery in Embodied Objects (Undo) was formed from electromyography (EMG) data collected from arm muscles while unraveling a tapestry. The numerical EMG data was visualized in a custom software program that was written to repeat, rotate, and randomly colorize the EMG waveforms. 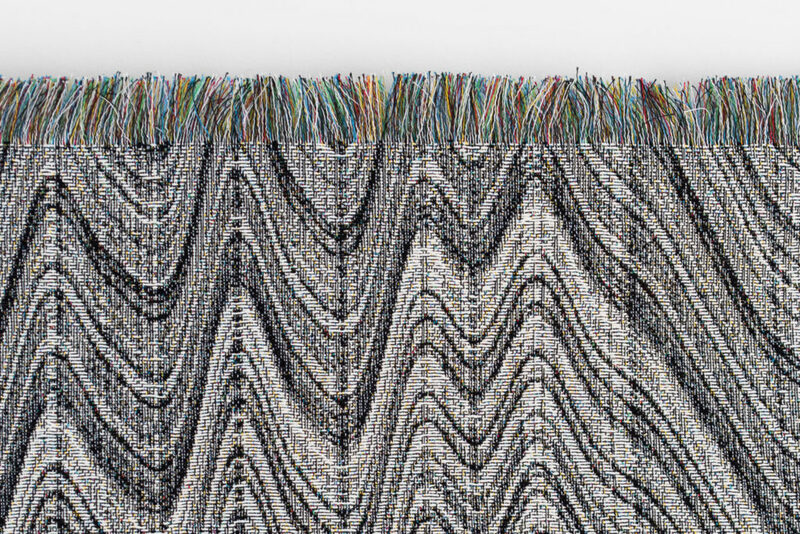 The series of digitally woven tapestries examines notions of labor and craft as they relate to material and technology. By combining hand and digital processes with traditional textiles and new media technologies, the series destabilizes and interrogates how each is categorized and valued. The narrative implications of these categories are mined for their potential to explore how technology, data, and cultural artifacts mediate our understanding of the human body. 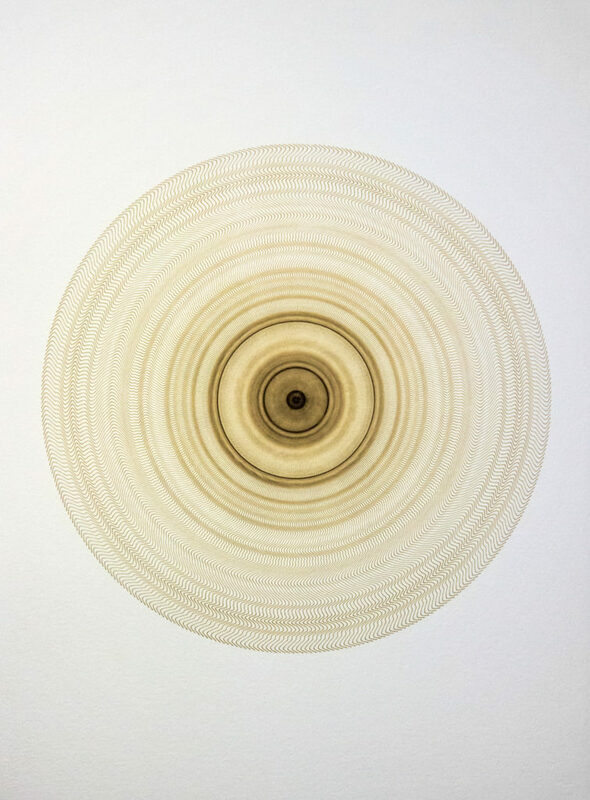 Blank Stare is a series of laser etchings on watercolor paper that integrate waveforms of fluctuating levels of attention recorded with an EEG (electroencephalogram) sensor. 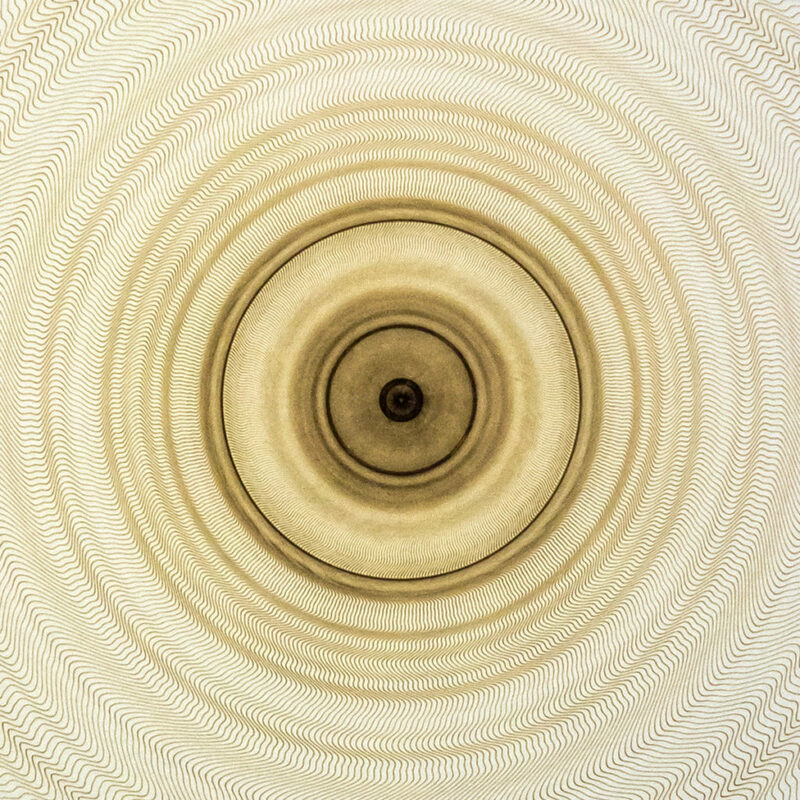 The fine lines burned into the paper in a repeated radial pattern create a visual focal point in the center of each etching. 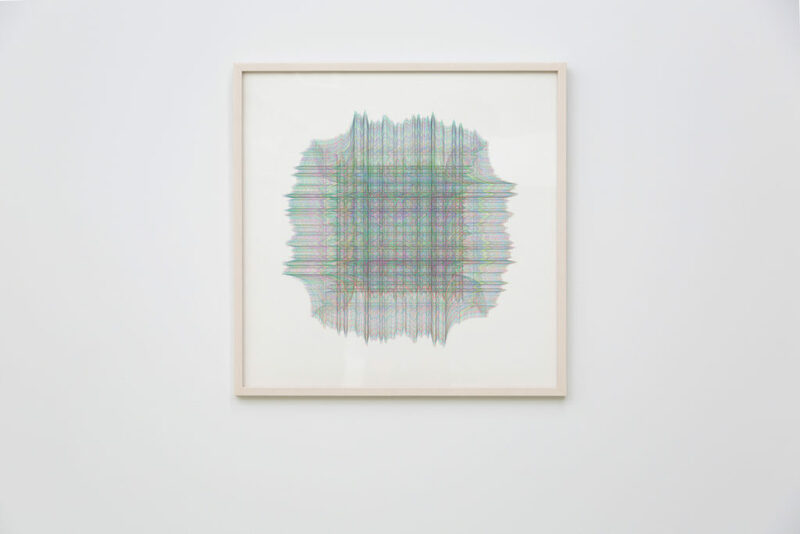 Each print in the Blank Stare series radially repeats a single EEG waveform that was recorded while the artist stared at a blank sheet of watercolor paper for sixty seconds. All images and text copyright Laura Splan unless otherwise noted.